The above words of Burton Mack are as applicable today as when he wrote them almost thirty years ago. We do need a thorough revision of Christian origins, for the traditional reconstruction is “very, very shaky.” Perhaps the picture of Christian origins is now finally budging. Who can say? The establishment (academic and religious) will obviously not “budge” until it is forced. Facts are ignored, tomes are ignored, even entire libraries of scholarship are ignored by a Bible Belt that is more and more involved in a culture war, in ‘scoring points’ with the masses. But facts do matter. The time must eventually come when the drip, drip, drip of uncongenial information finally wears through the ancient, rotten shell of Christian dogma, now almost two thousand years old. One of those uncongenial drips—actually, it’s more like a fire-hose—is Dr. Hermann Detering’s recent 70-page article, “The Gnostic Meaning of the Exodus and the Beginning of the Joshua/Jesus Cult” (German: Die gnostische Deutung des Exodus and die Anfänge des Josua/Jesus-Kultes), which Hermann graciously emailed me some months ago. I immediately perceived its significance, but put the article aside until more time became available. At 70 pages, the piece is more a small book than an ‘article.’ Six months have now passed, and in that interim I’ve sketched out no less than 25 posts of analysis and commentary—far more than I’ve ever devoted to any single piece of writing. (Now you know why this blog has been so quiet of late.) This series of posts has the following goals: (a) presenting Dr. Detering’s recent work to a wider and interested readership; (b) assimilating this ground-breaking work and helping it onwards ‘to the next level’; and (c) communicating to readers my observations, comments, and reactions. Detering is best known as a Pauline specialist. In the last decade, however, his thought has moved more and more into nontraditional areas. 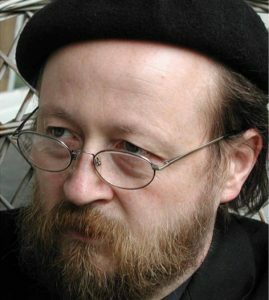 In 2013 he suggested the existence of not merely anti-gnostic, but also gnostic elements in the Pauline literature (“Jesus versus Jaldabaoth: Gnostische Elemente in den Paulusbriefen,” privately circulated). Over the last couple of years I’ve watched with increasing interest as Hermann’s thought has broadened to include proto-gnostic influences from the East. In the Spring of 2016 he emailed me a new article (in German on his website here) proposing that the gnostic Basilides was the author of the Odes of Solomon. Basilides lived in Alexandria and has long been suspected of ‘Buddhistic’ tendencies (e.g., see here pp. 384 ff). Basilides also taught the doctrine of rebirth (see Clem.Alex, Strom. iv.12.90). As Detering has pointed out, the Odes of Solomon have motifs remarkably evocative of India—including an all-powerful “wheel” (Ode 23:11, 13)—echoing the Wheel of Becoming/Samsara; and the enigmatic description of the Savior as “He who gathers what is in the Middle” (Ode 22:2, Charlesworth translation)—reminiscent of the Buddhist ‘Middle Way’ to liberation. As readers may know, I’ve argued in favor of a Buddhist-Christian connection for a long time (see here and here). 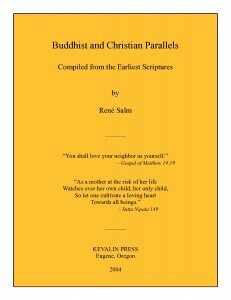 My eBook Buddhist and Christian Parallels presents the many similarities in teachings and ethics between the two religions. But I’ve also long suspected a historical connection between Buddhism and Christianity. The details of that contact are elusive, but surely they involve Egypt. King Ashoka sent Buddhist missionaries to Egypt and other countries about 250 BCE. I believe that seminal event was colossally important for the West and has been greatly underestimated. I maintain that the scenario set forth at the end of my book NazarethGate offers Jesus mythicism a viable path forward. In the book’s final chapter—extending to seventy pages—I argue that the turncoat Pharisee Yeshu ha-Notsri spent many years in Alexandria, was very well educated and groomed for a position on the Sanhedrin, repudiated his Jewish religion while in Egypt, become enamored of Buddhism, returned to his native land, preached with great success, and was stoned to death by the Jewish authorities—after which his body was hung up on a beam or cross for all to see. Significant parallels with the Jesus of the gospels are inescapable. I argue that Christianity in fact goes back to Yeshu (as opposed to the invented figure, Jesus of Nazareth), who lived in the early part of the first century BCE. I also contend that Buddhism played a large role in Yeshu’s thinking and teaching. Detering has not indicated that he ascribes to my theories regarding Yeshu. Nevertheless, his ‘Exodus’ article adds compelling arguments that substantiate a Buddhist-Christian connection. One should keep in mind that the differences between Buddhism and Christianity are supremely exaggerated by late developments, developments that most scholars falsely view as normative and early. However, when one probes into the earliest strata of these two great religions—before the Christian church councils on the one hand and the various Buddhist councils on the other—then striking resonances in ethics and teaching emerge. One doesn’t even have to study the texts to appreciate this. Fundamental similarities jump out—as, for example, that the putative founders of these two great religions were both homeless wanderers. Both even taught the excellence of that radically antisocial mode of life. The field of comparative religion is old and broad. Until now, however, its investigators have (by definition) not been New Testament specialists. Many come from ‘the other side’—Indic specialists, Sanskritists, and Buddhologists. However—as Detering’s article will show—we are now seriously considering the influence of Buddhism on Christianity in the historical context of the West. I believe this is something new and is a significant step forward. Detering’s discoveries (particularly those involving the Therapeutae) may represent a turning point. 6. The fictional Jesus of Nazareth was hypostatized in the second century of our era out of the Old Testament Joshua (= Jesus = Savior), the great hero of transformation/transcendence among early Christian Gnostics. If the above six points are correct, they arguably represent the greatest single contribution to the study of early Christianity yet to appear in this millennium. Detering reaches additional conclusions, and those will also become evident in the twenty-four posts to follow. While I agree with the six points listed above, I must admit in advance that I am not in complete agreement with Dr. Detering on all his conclusions. In the posts that follow, the reader will encounter a liberal dose of my own commentary interspersed with excerpts (translated by myself into English) from Detering’s article. These posts essentially present my views, using those of Dr. Detering as a springboard. I understand his article has been translated into English, but as far as I know the translation is not online. I plan on uploading 1–2 posts per week. Thus, the 24 posts (they have already been drafted) should take 3–6 months to upload. In addition to a little bolding and underlining, there will be some color-coding: Detering’s material in brown, and particularly significant points in red. One more thing: I don’t think your view of Christian origins will be the same after reading this series of posts, which is cumulative. For those who persevere to the end, your eyes will be opened.